It’s almost here! For all you Dragon Ball fans, it is time you cleared your schedule. In just over 24 hours, the English dub of Dragon Ball Super is set to debut, and fans all over the U.S. are anxiously awaiting for its premiere. Toonami will air the first episode of the acclaimed anime tomorrow night, and Adult Swim wants to celebrate. Over on Facebook, the popular program shared a new teaser for the show, and it has fans pumped. Fans then see Beerus in full-force as the purple God of Destruction goes about the universe causing chaos. However, he seems to be in search of something. Or, more rather, someone. For those fans who’ve kept up with Dragon Ball Super’s Japanese episodes, then they know just where the story is heading. Covering the ‘God of Destruction Beerus” saga, the first several episodes of Dragon Ball Super will find Goku facing off against the god. Unsure of who this Super Saiyan God is, Beerus seeks out Goku and Vegeta to test their skills, and a few action-packed battles come out as a result. Shortly after the arc was announced, producer Shunki Hashizume had this to say about the impending saga. “Dragon Ball Super enters its new chapter, the “Universe Survival Arc”. As you can see from the main visual, it’ll be a full-throttle story where Goku and the rest of the Universe 7 warriors form a team to take on a tournament between universes!” he wrote. 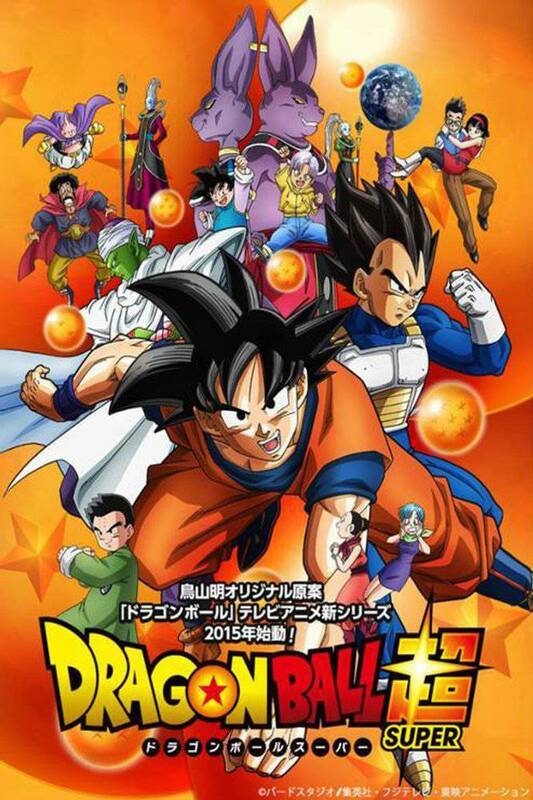 Dragon Ball Super airs on Crunchyroll Saturdays at 7:15 p.m. CST. Toonami will begin airing the English dub on Adult Swim Saturdays at 11:30 p.m starting January 7.